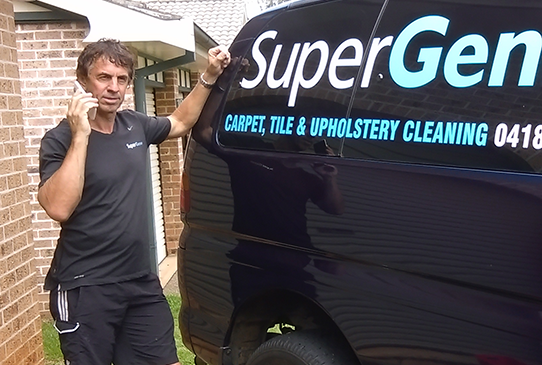 Welcome to Super Genie Carpet Cleaning, Port Macquarie: Keeping your Home & Business clean and fresh, everyday. Established in 1987, Super Genie has been providing carpet cleaning results that customers love to tell their family and friends about! Steve, the owner operator has over 25 years industry experience cleaning and restoring Port Macquarie area residents homes and businesses. He also an integral part of the business community, having participated in local initiatives and networks. We happily service the Port Macquarie, Laurieton, Wauchope and Kempsey areas. We know what works best for your cleaning and restoration needs – from pet, coffee, wine stains to flood damage restoration for wood, tiles, carpet and upholstery. Excellent service, I will definitely be using your service again! Very pleased with the results, I’ll definitely be recommending you to my family & friends! Carpets look fantastic after they were cleaned, and they dried in no time! We pride ourselves in providing the best possible results, using the latest technology and products. Whether you have suffered from flood damage, or you need an end of lease bond clean, call us today for free quotes and advice!